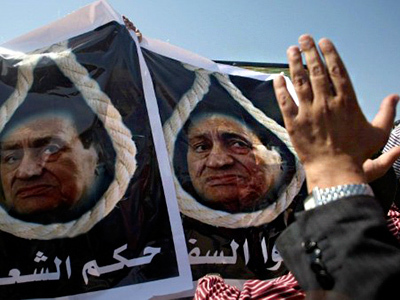 On Wednesday, Egypt witnessed the first day of the trial of deposed leader Hosni Mubarak. 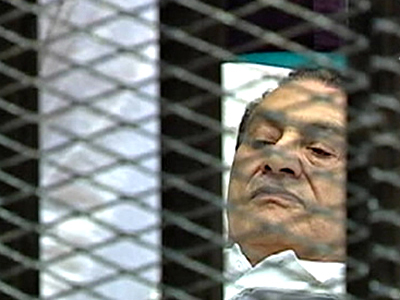 On Wednesday, Egypt witnessed the first day of the trial of deposed leader Hosni Mubarak. RT’s Oksana Boyko is following the trial, and shares here her views on the ideological shift that happened in the Egyptian society after the revolution. ­Clashes have long become the order of the day in Egypt, but the first day of the trial of Hosni Mubarak has provided some unprecedented scenes. And these were not the footage of a former strongman being wheeled onto a stretcher into a metal cage, or his sons closing their ranks to shield their frail father from dirty looks. This was moving, but sort of expected. The holding cell in the court room in the police academy on the outskirt of the capital Cairo where former president Hosni Mubarak and others are seen. What really surprised me was that some Mubarak supporters dared to take it to the plaza before the courtroom, chanting slogans like “Mubarak, hold your head high!” The beleaguered Egyptian leader – reportedly in the midst of a cancer relapse – was lying down during all five hours of the first hearing, and probably never learned about this daring show of empathy. Just a handful of the old regime's sympathizers opposite the bulging crowd of haters. When I was reporting from Egypt a few years prior to Mubarak's ouster, I had great difficulties finding people who would openly air their dissatisfaction with Mubarak's policies. They were manifold, but were too afraid to voice their discontent. After all, this feeble man on the stretcher never abolished the emergency law that allowed his henchmen to incarcerate dissenters for indefinite periods of time without trial. Then, when I returned to Cairo in March 2011, after Mubarak was forced to step down, I couldn't find anyone who had something nice to say about his almost 30-year rule. Again, not because people didn't appreciate his efforts to reform the country's economy, which led to 7 percent GDP growth between 2005 and 2008 and earned accolades from the IMF. But simply because expressing your genuine thoughts could get one in trouble with the Tahrir crowd. 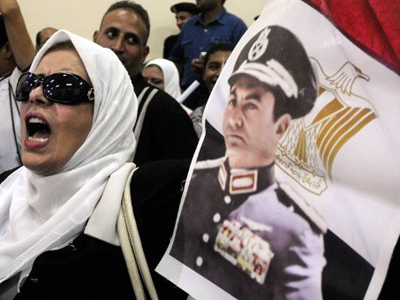 During the last three decades, Egyptians could either love or hate Mubarak. But they couldn't do it all at the same time. 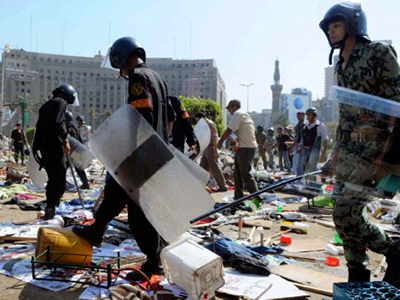 Those few Mubarak sympathizers that took to the plaza before the courtroom venue on Wednesday attempted to change it. 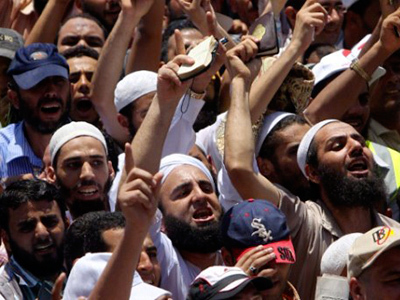 They attempted to make a point that you can support Mubarak while your neighbor opposes him. This little democratic exercise resulted in one person being killed and fifteen 15 injured.